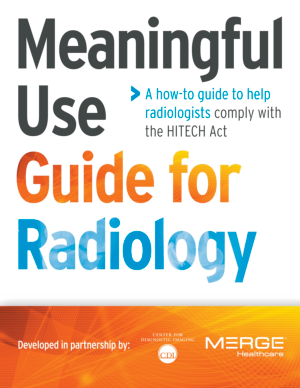 Written in partnership by the Center for Diagnostic Imaging (CDI) and Merge Healthcare, this free "how to" guide will help you comply with the new law and earn your share of the $1.5 billion available in incentives. What's involved with registration and attestation? What should I expect in coming years? What are the processes to capture and report health information?